We are often looking for people to join our lunchtime teams of supervisors. Occasionally we need to recruit staff to work one to one with a child with additional needs. We look for calm, caring and friendly people, who enjoy being with children and who are willing to engage through play. 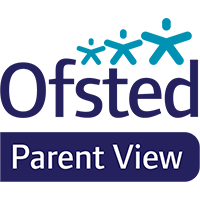 Please keep an eye on this website for future vacancies or contact the school office and let us have your details, so that we can let you know when vacancies arise. Please bear in mind that we take the safeguarding of our pupils extremely seriously and any appointment will only be confirmed on receipt of suitable references and a successful DBS check.